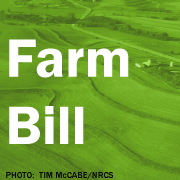 Update: (6/19/2012) The U.S. Senate is expected to act quickly on many farm bill amendments, including one to re-establish the critical conservation compliance – insurance subsidy connection. The name of the amendment has changed, and is now the Chambliss conservation compliance amendment #2438. This action alert is part of our continuing special coverage of the 2012 farm bill. “I support crop insurance. But I do believe that there ought to be conservation compliance along with crop insurance,” he told reporter Clark Kauffman. “The more taxpayer dollars that can go to conservation, the better off everyone is—the better off farmers are, the better off our society is, the better off our country is,” Harkin added. The Iowa Environmental Council, other conservation groups, and people from across the country have been calling for a connection between taxpayer-funded insurance subsidies and conservation practices all year, and Harkin’s comments are a sign those calls are being heard in Washington. Although the Senate Agriculture Committee included some limits on insurance subsidies for farmers who plow native prairies or grasslands for the first time, the current bill does not include badly needed protections for wetlands and highly erodible soil. Further, the agribusiness lobby would prefer that substantially increased insurance subsidies continue with no strings attached, and are working tirelessly to advance that position. Your action is needed now because you are in a unique position to help these needed conservation protections become law. Both of Iowa’s Senators have been strong advocates for reform of federal farm programs, and both could be critical voices of support for these additional conservation practices. But Senators Harkin and Grassley need to hear from you. They need to know Iowans expect more than “no strings attached” farm subsidies that contradict efforts to conserve our state’s soil and water. Without conservation standards, federally subsidized crop insurance has the unintended consequence of encouraging production on marginal lands. Farmers who want to fulfill their responsibility for good stewardship of the land are at a disadvantage, because poor stewards are allowed to cut corners and reap the same public benefits. You can support needed conservation action by contacting Senators Harkin and Grassley and encouraging them to support the Cardin Conservation Compliance Amendment. To take action, fill out the Senators’ contact forms. You can personalize our sample message, below, or write your own to explain why farm conservation is important to you. Iowa is fortunate to be represented by two U.S. Senators who are both strong advocates for needed reforms to farm programs that will protect farmers, taxpayers, and Iowa’s natural resources. As the Senate debates the farm bill this week, I encourage you to take another step to protect the public interest by supporting the Cardin Conservation Compliance Amendment (SA-2219). This important amendment will help ensure taxpayer dollars protect natural resources while providing the safety net farmers need. Many Iowa farmers work hard to be good stewards of the land and water, but they face a competitive disadvantage when poor stewards can cut corners and receive the same public benefits. Without your action, crop and revenue insurance payments will continue to incentivize farming on marginal lands where intensive crop production is neither environmentally nor economically sustainable in the long run. As Congress works to design a farm safety net that meets the needs of today’s farmers, it’s important that policies to protect the long-term health and productivity of Iowa’s landscape do not fall behind. Now is the time to restore the link between conservation compliance and subsidies for crop insurance. I hope you will support efforts to incorporate this reform into the final farm bill. As we’ve been saying for months, this year’s farm bill debate is set against the background of recent high commodity prices–especially for corn–which are driving more land around the Midwest into agricultural production–including land unfit for intensive row-crop production. June 6, the New York Times ran an informative piece connecting this trend to a top farm bill priority of the Council and other conservation groups–connecting federal crop insurance subsidies to to basic expectations for conservation practices. The article discusses how the availability of subsidized crop insurance is making it easier for farmers to choose to plant crops on marginal land that may or may not produce good results. Congress is working to reduce spending on farm programs this year, and those cuts are expected to dramatically increase the role of crop insurance subsidies as a part of the taxpayer funded safety net for farmers. This change could have significant consequences for the environment. While many existing farm programs require farmers to implement certain conservation practices on vulnerable land, since 1996, the crop insurance subsidy has contained no such protections. The version of the farm bill the Senate is currently debating emerged from the Senate Agriculture Committee without provisions reconnecting insurance subsidies to conservation expectations–except in a limited case. Under a so-called “sodbuster” provision adopted by the agriculture committee, taxpayer-supported subsidies would be reduced by half for native prairie or grasslands farmers put into production for the first time. The Iowa Environmental Council and other conservation groups nationwide have called on the Senate to include an amendment to the current farm bill proposal that would strengthen conservation protections for wetlands and highly erodible land as well. The Council has said previously that connecting crop insurance subsidies to conservation is an “idea with merit” that most Americans–and Iowa farmers–support. That’s why we’re hopeful the Senate will incorporate these conservation protections as it continues its work. We will continue to monitor activity in Washington closely and alert our action alert volunteers of opportunities to contact Iowa’s Congressional delegation to provide feedback. You can receive our action alerts by signing up on our website. An important note: The Council and other groups are calling for attaching conservation expectations to federal subsidies for crop insurance–which can pay up to 60% of a farmers’ premium. None of the restrictions discussed here would prevent farmers from purchasing crop insurance–which is a product sold by private insurance companies. Attaching conservation expectations to crop insurance is simply a way of ensuring the taxpayer does not help support environmentally harmful practices.